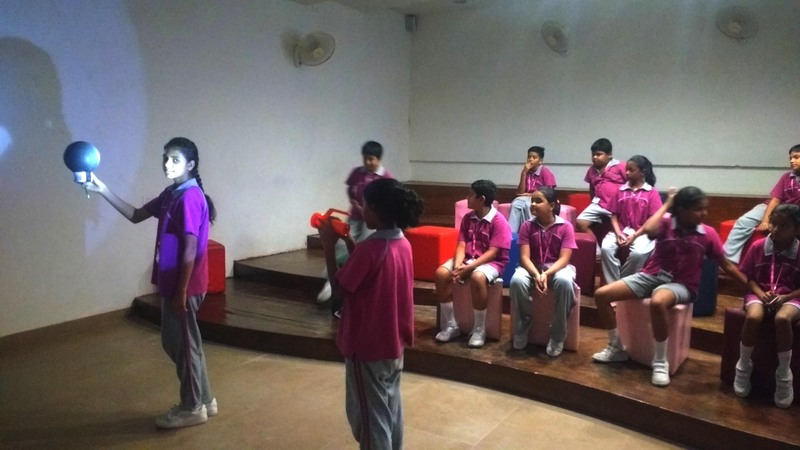 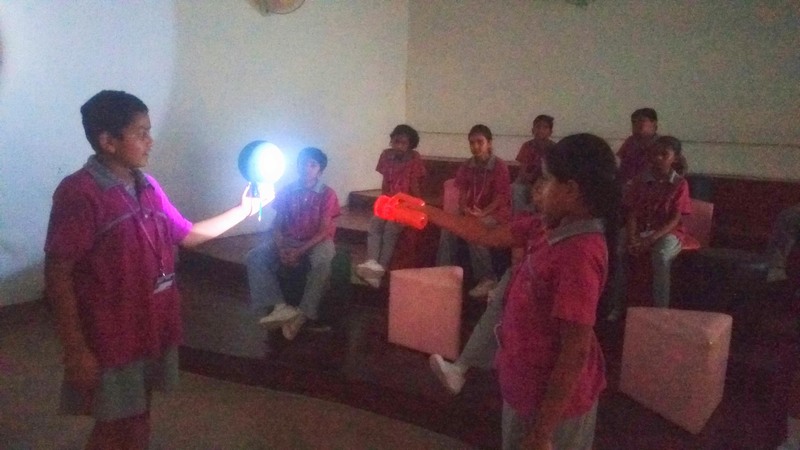 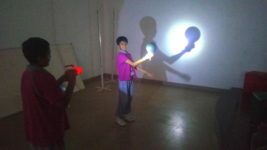 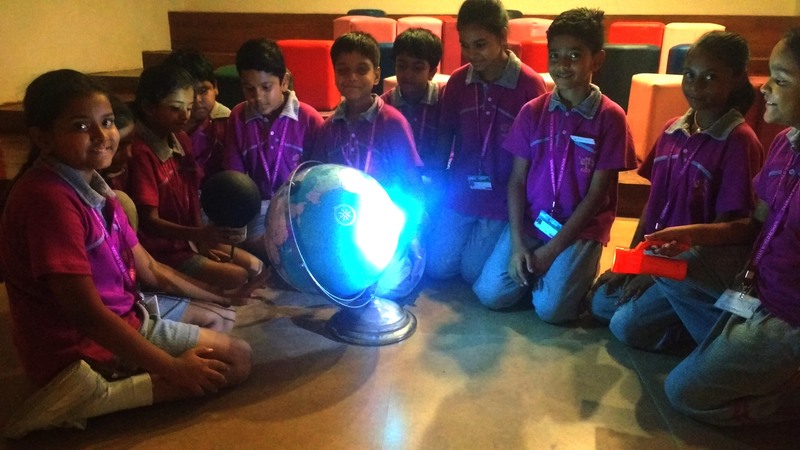 The students of grade 5 in their Science lesson observed the phases of the Moon and Eclipses by physical demonstration. They observed the different phases of the Moon by using a torch and a ball representing the Moon. 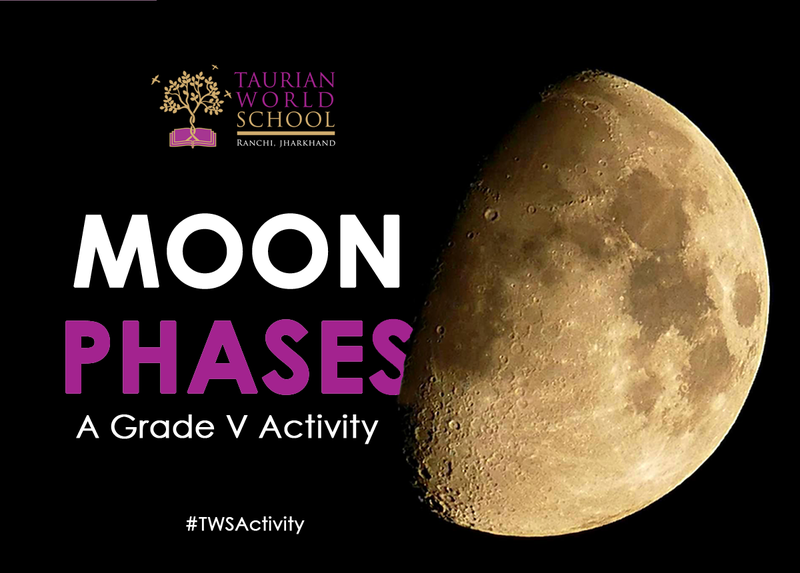 The students were able to visualise how the phase changes due to the change in position of the Moon. 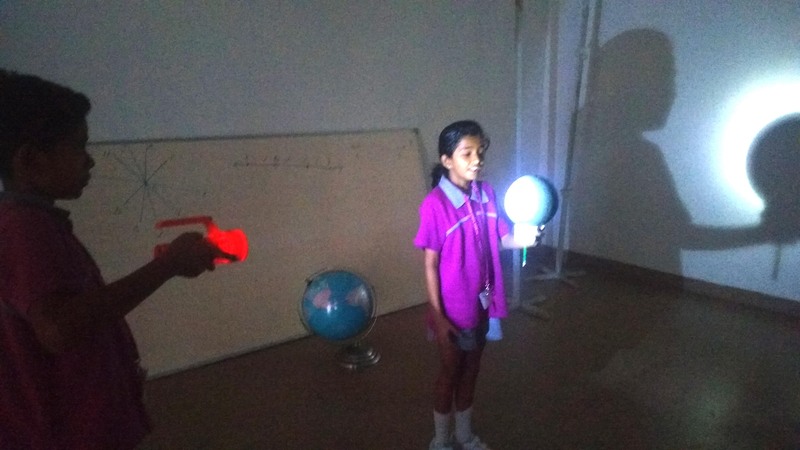 The students also observed the occurrence of solar and lunar eclipse and how the shadow of one astronomical object obscures the visibility of another astronomical object like the Sun and the Moon. The demonstration encouraged curiosity and served as an opportunity for the students to develop their observation skills. 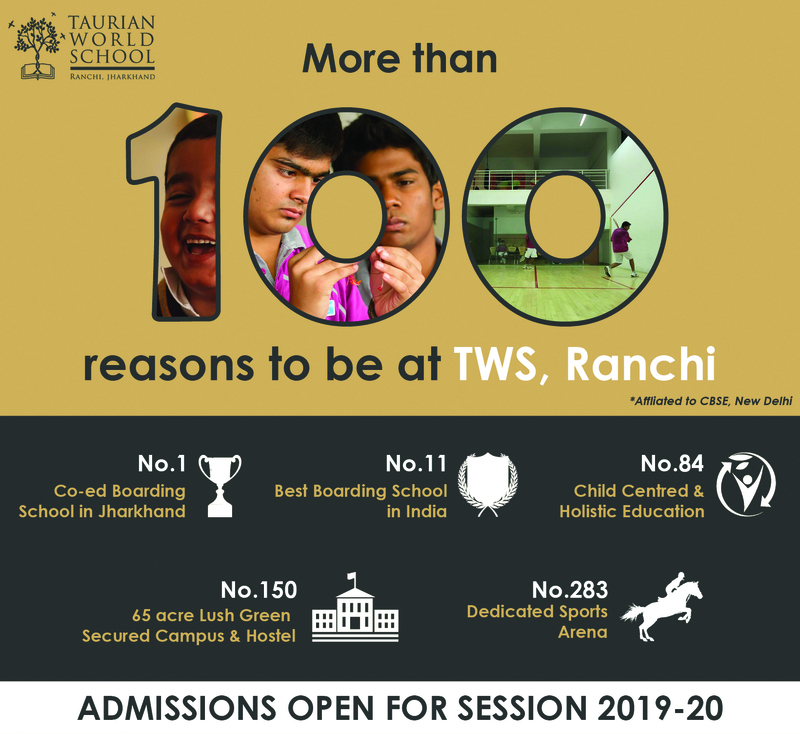 Copyright © 2015 Taurian World School. All rights reserved.